Hi! I’m the author of the global bestseller The 10% Entrepreneur, the ultimate guide to part-time entrepreneurship. I’m also the inventor of the term FOMO, which is short of Fear of Missing Out. On my hit podcast FOMO Sapiens, I talk to compelling figures in business, finance, and society as we work to dissect how you can make smart decisions and thrive in an overwhelming world. 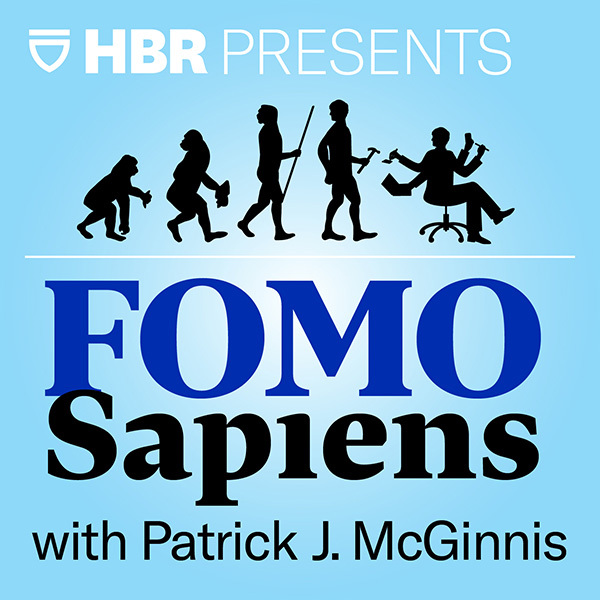 FOMO Sapiens is presented by HBR Presents, the podcast network of Harvard Business Review. Sign up for What Did I Miss, a weekly newsletter with podcast updates, hacks, and big ideas. Bonus: When you sign up, you’ll get a free chapter of The 10% Entrepreneur. Become a 10% Entrepreneur in order to think like an entrepreneur 100% of the time. Are FOMO and FOBO affecting your daily decisions? For many of us, they are. And the worst part of all is that it goes unnoticed! This ten questions diagnostic will help you determine how FOMO and FOBO affect your decisions. Once we discover your results, I’ll share with you some actionable tips and ideas on how to fight your FOs. Rabat, Linda Rottenberg, Co-Founder and CEO of Endeavor and author of Crazy Is A Compliment . Set up a free meeting with me! Once you have read The 10% Entrepreneur, send me a picture with the book by filling out the form below. Someone from the team will reach out to schedule a meeting.